MSC Cruises, the world’s largest privately-owned cruise company has captured the growing consumer trend and demand for wellness travel by partnering with Technogym, the world’s leading wellness and fitness company to develop a comprehensive wellness program exclusive to MSC Cruises. This personalized 360° wellness experience at sea gives guests the option of taking well-deserved cruises to unforgettable destinations while staying on top of personal health and wellness goals with cutting-edge technology, state-of-the-art fitness facilities, specialized food and beverage offerings, and exclusive shore excursions. Beginning with access to a scientific pre-cruise questionnaire, guests will be able to create individualized programs featured on an Aspiration Map. 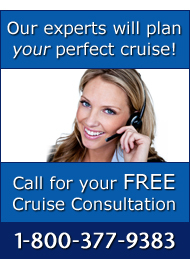 This will assist the MSC Master Trainer when customizing one-on-one consultations with guests once onboard. Following the in-depth consultations, an MSC Doctor will conduct a body scale analyzer test, blood pressure test, electrocardiogram and lipid panel. Guests involved in the MSC Cruises’ Wellness Experience will have a choice of MSC staterooms on upper decks, complimentary wellness mats, Technogym Wellness Bags, sports clothing and towels, wellness themed mini-bar, access to a Fitness TV channel and laundry service for workout gear. While at sea, these guests will participate in core and body weight training, Technogym spinning classes, Bella Barre, Hula Fit, Tai Chi, Pilates, Yoga and a host of other fitness classes. MSC Dining onboard will have clearly distinguished menus for the wellness program. In addition, guests will have a wellness room service breakfast menu for their convenience. Once guests arrive onshore, they can look forward to shore activities like jogging, bike touring, hiking, kayaking, running, snorkeling and beach training – activities designed to enhance the onboard fitness program. You can’t afford to miss out on this personalized, 360° wellness experience at sea! Give us a call today to be a part of this exciting wellness program by booking a cruise on MSC Seaside for her inaugural sailing to the Caribbean in December 2017.
necesito un crucero por toda America del sur. Gracias por su comentario Victor. Hay varios cruceros que visitan el área de America de Sur. Con mucho gusto me comunicaré con usted para darle más información acerca de cuáles son sus opciones.